Summary: I’m glad to give an information guide to characteristic of gemstones here. 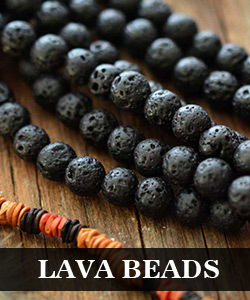 Understanding gemstone characteristics is helpful for both purchasing and crafting. This Beebeecraft information guide specifies seven characteristics of gemstones in detail. You will be able to make purchase with more confidence by knowing these characteristics. Furthermore, being familiar with gemstone characteristics will greatly help you when designing your own jewelry. Gemstones are used a lot in jewelry making projects, but not all gemstones are appropriate for all projects. Color is considered to be the most momentous characteristic of a gemstone. The beautiful colors of gems, such as ruby, sapphire, emerald and amethyst, are their main appeal. Many jewelers regard color as the most important evaluation criterion. In general, colorless gems are less beautiful. Many gemstones including delicate sapphire may occur in colorless varieties, but they are quite unglamorous because they don’t have the attractive color. Diamond is an exception. Diamond is many people’s top choice of gemstones though it is commonly colorless. Gemstones are usually expected to be transparent, but it is not necessary. There are some opaque gems like opal, coral, carnelian and lazuli recognized as beautiful as well. The color of gemstone is decided by hue, tone and saturation. Hue represents the purity of color. Gemstones that display a pure color or only “slight” hue of other colors in addition to their primary color are recognized as the highest quality. For instance, there are rubies in slightly orangish-red and slightly purplish-red. Tone refers to the depth of color. The tone of gemstone is described as “light”, “medium-light”, “medium”, “medium-dark” and “dark”. Saturation indicates the degree to which the gemstone is free from brown or gray hues. We usually describe gemstones which show little gray or brown as possessing “vivid” or “strong” color saturation. Clarity is an important factor when comparing high quality colored gemstones. Almost all gemstones contain inclusions because gemstones are formed under specific circumstances and there must be some traces of minerals, cracks or fissures. However, the inclusions may not necessarily detract from the beauty or desirability of a colored gemstone. Even those most valuable gemstones have at least some inclusions. Naturally, gemstones with very few or no inclusions are available, but the price may be extravagant. Generally speaking, gemstones which are moderately included can be considered as having best value. The cut of a gemstone is like that of a diamond whose purpose is to enhance the overall beauty and value. But unlike diamonds, there are no fixed geometrical standards for maximum brilliance when it comes to gemstones, because gemstone color can vary greatly. A good gemstone cut is one that showcases the most even color, diminishes its inclusions to the fewest, and exhibits great overall symmetry and proportion. The carat weight of a gemstone isn’t necessarily corresponding with its size but its density. Different gemstones have different densities, so two gemstones with the same size may be very different in weight. For example, a ruby is denser than an opal, so a one-carat ruby will look far smaller than a one-carat opal. The gemstone’s value is determined by its carat weight or density, not its size. The luster of a gemstone refers to the quantity and quality of the light reflected from its surface. 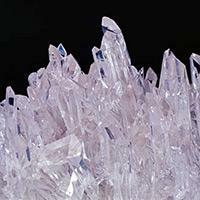 It typically includes reflection, refraction, dispersion, and faceting. The real luster of a gemstone may become less than its ideal luster because of the lapidary’s skill level, the amount of inclusions and some chemical or physical changes, such as oxidation or abrasion. There is some luster embodied by particular gemstones, so the luster is named after the gem, such as adamantine luster for diamonds and pearly luster for pearls. When designing a piece of jewelry, luster plays an important role in addition to color. Luster can impact on the look of a piece, so it’s an important factor to be considered for designers. Take vitreous gemstones as an example, garnet or amethyst would be a great choice if you are looking forward to designing a shiny piece. The rarity endows a gemstone uniqueness and unparalleled value and increases people’s desire to possess it. 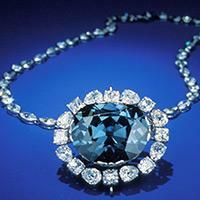 Rarity is one of the most decisive factors to determine the prices of gemstones. Many gemstones are very common, but their exceptional color or clarity will make them become rare. Hardness can be described as a gemstone’s resistance to abrasion. Mohs Hardness Scale is the one we use to measure a gemstone’s hardness on a scale from 1 to 10. Diamond ranks at 10 on the Mohs scale which is the hardest naturally occurring substance. Corundum, of which ruby and sapphire are composed, is the next on Mohs scale. Hard gemstones which can stand up to daily wear and tear are more ideal for using in everyday jewelry. That’s one reason why diamonds are always used in wedding rings. Being aware of a gemstone’s hardness can help you determine what kind of jewelry project it is suitable for. Gemstones that are less hard can be used in earrings and necklaces or special occasion rings and bracelets rather than everyday bracelets and rings, because these gemstones are much more prone to scratches. The information guide to characteristics of gemstones is finished here. I believe that you will find these seven gemstone characteristics very helpful!